The 'Cyclops' episode takes place in the pub of Barney Kiernan, and this PC sets its tone. Such PCs proliferated in the 1910s, both in Ireland and in the USA. 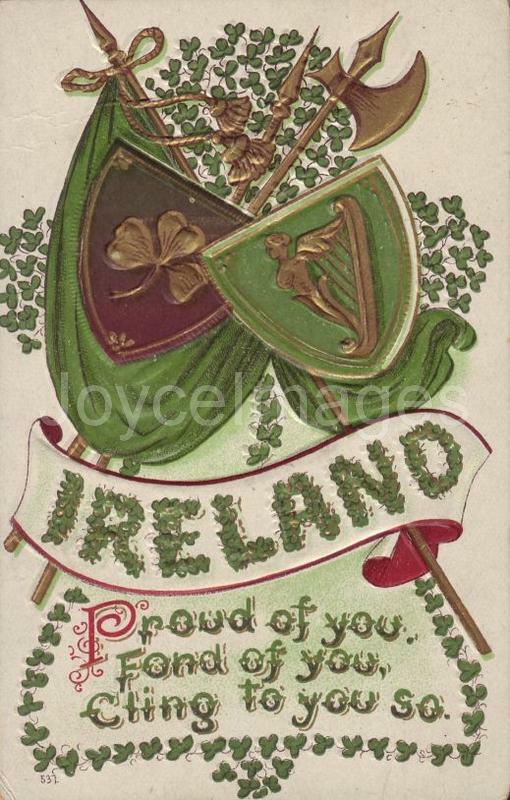 Predominantly colored in green, often embossed and gilded, adorned with harps, shamrocks and crowns, they expressed the unabashed patriotism of both Irish and Irish Americans.